We are pleased to announce the arrival of clinical psychologist, Dr. Marsha Sargeant. 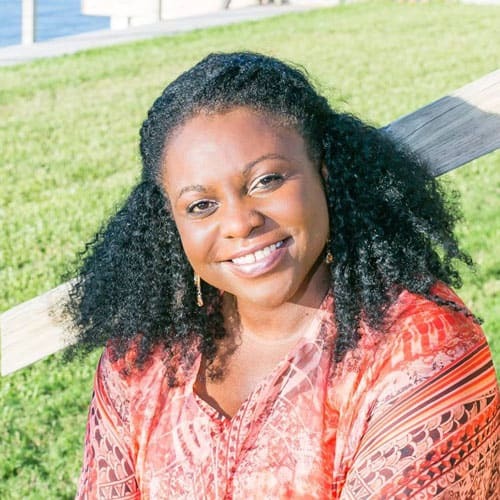 Dr. Sargeant will be overseeing Origins’ innovative health psychology department, Origins Center for Brain Recovery (CBR), in South Padre Island, TX. Dr. Sargeant is a licensed psychologist who has served in private practice providing psychological assessment, testing, and patient-centered, evidence-based psychotherapy for adults with a wide range of presenting problems. During her career, she has provided targeted PTSD therapy, including Dr. Diane Castillo’s protocol combining components of Cognitive Processing Therapy (CPT), Prolonged Exposure (PE), and skill building. She earned her Master of Science in Psychology and Ph.D. in clinical psychology at the University of Maryland, College Park and has conducted research and clinical work at the University of Maryland School of Medicine, the Baltimore VA Mental Illness Research, Education and Clinical Center, Long Beach VA Healthcare System, and at inner-city residential substance use treatment centers in Washington DC. She has held adjunct faculty teaching positions, has conducted international research, and currently serves as a peer reviewer for scientific research journals. Her work has resulted in several publications including those in such journals as Assessment, the Journal of Abnormal Psychology, and Addictive Behaviors. Welcome to the team, Dr. Sargeant! The job announcement searching for a new psychologist to lead the Center for Brain Recovery in South Padre Island, TX was almost a mirror image of my CV. My interview felt like more of a discussion, and I was fascinated when we began talking about the development of this program. I have always wanted to work unbounded in the addictions field – able to use cutting-edge technology to address addiction in a truly holistic and integrated fashion. I appreciate that the team is genuine in their passion for helping people recover and that they are committed to this philosophy. Working in co-occurring conditions has allowed me to feed my varying interests across psychology, medicine, neuroscience, health psychology, etc. It is difficult to imagine working in this area without an interdisciplinary perspective, though this has been the case in recent history. I look forward to continuing this type of integrated work with Origins’ skilled multidisciplinary team. What have you learned through your professional experience? Human behavior always makes sense, even if not seemingly beneficial, personally effective, or “sane”. If you treat conditions from this perspective, you are more likely to gain an adequate amount of compassion in order to better understand and help patients recover. By addressing mental health within this context, we can reduce the stigma around mental illness. Do you participate in any professional activities outside of Origins? If so, please tell us a little bit about them. I am in private practice, where I see individuals in the community presenting with a variety of conditions. In addition to substance use disorders, I specialize in anxiety and trauma as well as managing co-occurring chronic medical conditions. I also founded Veteran Wellness Initiative, a non-profit organization that aims to increase access to quality healthcare services to Veterans in the Rio Grande Valley. VWI supports holistic, integrated care and is currently working on various initiatives in the RGV. I love to sit and be still. I attended my first mindfulness retreat at Deer Park Monastery in California in 2011 and have practiced mindfulness ever since. I cannot express enough the value that mindfulness and the teachings of Thich Nhat Hahn has added to my professional and personal life. It is mindfulness practice that informed my interest in neuroscience and healing. I love music. I was a child of MTV in the 80s and 90s and have an uncanny ability to identify songs within 2-3 notes. I also love to sing and fumble around on guitar. Unfortunately, I haven’t gotten a band together, so karaoke has had to suffice. My favorite song to perform is “Welcome to the Jungle,” by Guns’n’Roses. Some would say that I sing this song on par with Axel Rose himself.